Anu is one of the father gods of Mesopotamia and completes a triad of gods including Enlil and Enki. Anu, referred to as this name in Akkadian culture, is seen as the supreme god who was the ruler of all the kings. Anu was indeed the most important god to the extent that if another god reached a higher level of importance, they would have been said to gain the status of, “Anu-power” (Stevens). Many of the other deities from this time would have been described as his children, since he is this father of all gods. His depiction in the Akkadian culture was a headdress with horns to show his strength and power. Anu was also an important god to the Sumerian culture, but would have been referred to by the name of An. An was still depicted as this supreme god with just some different aspects within this culture. For instance, instead of being depicted with the headdress with horns, he was depicted as a powerful bull. Some say later this depiction was the Bull of Heaven, which An owned but still significant in relation to the god (Anu). Anu was a very important god for both of these cultures in leading all the gods, and especially in leading the society’s religious ceremonies. Anu was worshipped in many cities throughout the time of Mesopotamia, but Urak was seen as Anu’s specific holy city. Anu was worshipped often with Inanna, god associated with grain. Therefore, when worshipping the two gods, the Mesopotamians would have often been worshipping for good weather and plentiful of food. Anu was seen also as the god associated with animals or vegetation that would have been crucial for their survival. Anu was also connected with being the god of all evil spirits and demons, such as Lamastu. Anu did have temples across Mesopotamia where people could worship him for being the creation of the universe and to give him offerings to continue having an abundance of animals. 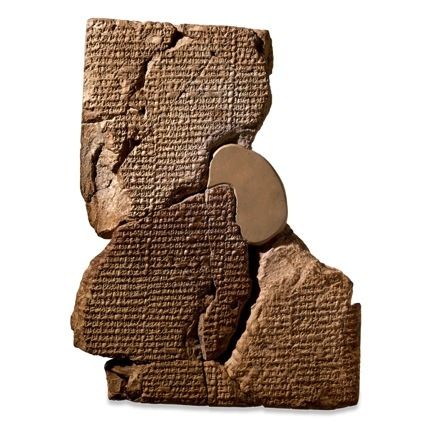 Cuneiform tablet with the Atrahasis Epic. This epic explains Babylon’s version of the flood story. It depicts Anu being the ruler of heaven and the gods, the earth ruled by Enlil and the water ruled by Enki. This story explains how Enlil destroys everything by famine, drought, and finally a large flood. After, the gods were very unhappy because there was no one left to worship them and give the gods offerings. 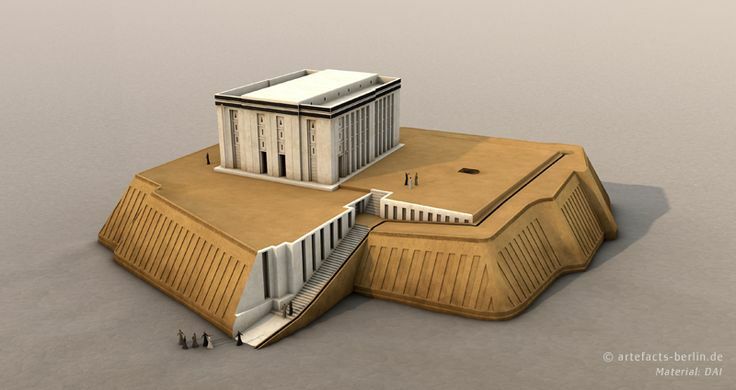 This is a very important story to the Babylon religion. Anu is seen here as the supreme god, but within this story he does not commit much action to the actual story. This kind of goes to show that in the culture of Babylon even though Anu is above all gods, he is not important in specifically being worship because other gods had more specific roles in their everyday society. Anu was still worshipped for his power and creation of the universe, but this is why there are not as many depictions of him in temples by himself but associated with other gods. “Anu | Mesopotamian God.” Encyclopedia Britannica Online. Encyclopedia Britannica, n.d. Web. 9 Mar. 2015. There are a lot of issues concerning the Middle East, but many do not realize that one of the major problems is looting. Since Middle Eastern countries do not have stable enough governments to maintain their historical sites and museums, thieves have overrun them. The economic poverty of these areas has led to more theft and damages, and warfare in these countries left the sites even more vulnerable to looting. 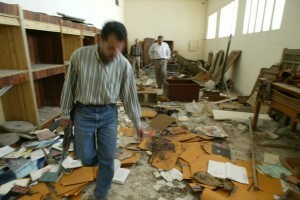 In 2003, the National Museum in Baghdad was broken into and many artifacts were stolen (Kennedy). This invasion opened up the eyes of the world on how serious looting could be for the history of these areas. Though looting had been a large problem for many years before this invasion, it awoke the problem on an international level. As American troops began to leave Iraq in the past couple of years, it left these sites once again vulnerable for the public to invade. It is clear that the issue of looting has become very predominant over the past couple of years and needs to be resolved before an abundance of our history is lost. There is a couple of ways that foreign and domestic resources can help prevent looting of which mapping out these exposed sites and providing security, seem to be the most effective. A crucial way in helping handle looting is being able to map out the areas, which are being targeted. 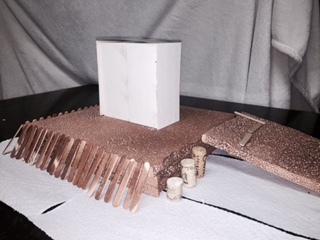 Kennedy reveals a project that the Getty Conservation Institute in Los Angeles helped Jordians build. 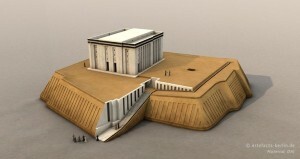 It is a web- based system that allows archaeologists to gain access to records of sites in Jordan. This web-based system was named MEGA (Middle Eastern Geodatabase for Antiquities) which was launched in 2007 in both English and Arabic languages (Kennedy). Google earth satellite obtains a lot of the images for the site and truly shows the shocking scale of rudimentary holes covering large amounts of land. Not only does this give archaeologist a common ground to report looting, but it is done in an efficient manner to track thieves, record damages and react quickly. It is hard to contain looting when it is already on such a large scale, however this mapping method allows for it to be monitored internationally. Another main issue that renders a lot of these sites to become susceptible to looting is the lack of security. This is a much tougher aspect to resolve, because if the governments are not stable or strong enough to enforce security it is hard to regulate. 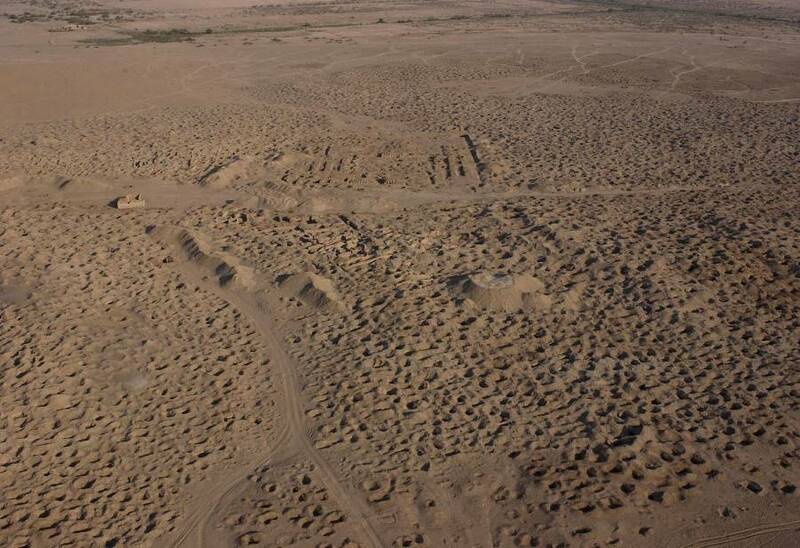 For instance, the Dhi Qar Governorate Council reported that of the approximately 1,200 archaeological sites, only 200 guards monitor them (Dennehy). Clearly, this is not enough security to even cover a small fraction of these sites. Though, this council has called on the authorities to bring in more security, it has not been accomplished. If the governments could establish a more abundant supply of guards to the sites it could help lower the amount of looting. There are many ways to look at the issue of looting and how to go about resolving it. Mapping is a more passive route to monitoring looting and keeping up to date with damages of areas that have more of a concern at the moment. 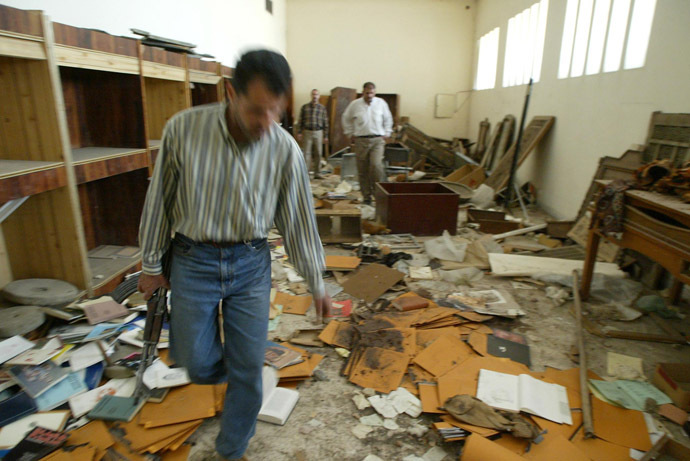 Providing more security at museums and archaeological sites is a more active way to prevent looting. 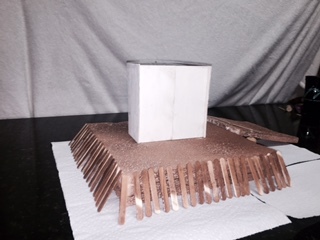 Both do not completely resolve the situation but they allow steps to be taken to help improve the situation. Kennedy, Randy. “In History-Rich Region, a Very New System Tracks Very Old Things.” The New York Times. The New York Times, 24 Aug. 2010. Web. 03 Feb. 2015. Dennehy, John. “Stealing from History: The Looting and Destruction of Iraqi and Syrian Heritage Concern Us All | The National.” Looting of Heritage Sites Stealing History from Syria and Iraq. N.p., 11 Dec. 2014. Web. 03 Feb. 2015.